So let's see what everyone has been up to this week. First of all this pretty little box by Heather who blogs at Stamp with Nellie. 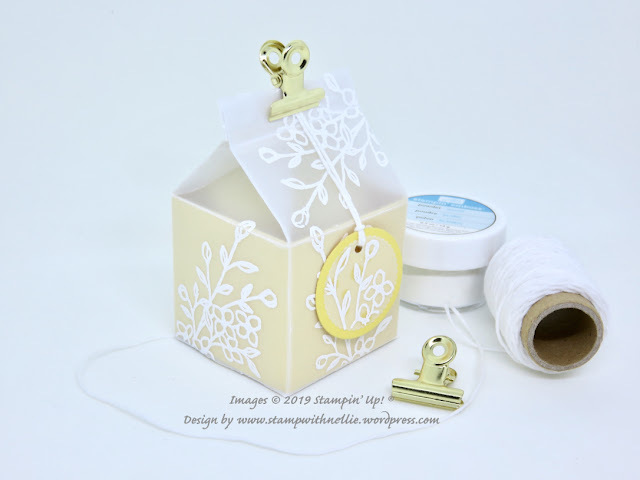 Heather has made this very delicate little milk carton box by heat embossing on vellum. Heather used the Touches of Textures stamp set here. Do pop over and read more on her blog HERE. Next is Verity of InkyButterfly, who has used the Tropical Chic stamp set for her card. I love this set and Verity's card has reminded me that I don't use it nearly enough. Read more about this card over on Verity's blog HERE. Lastly today is Helzie who blogs at SlimmandStylish. 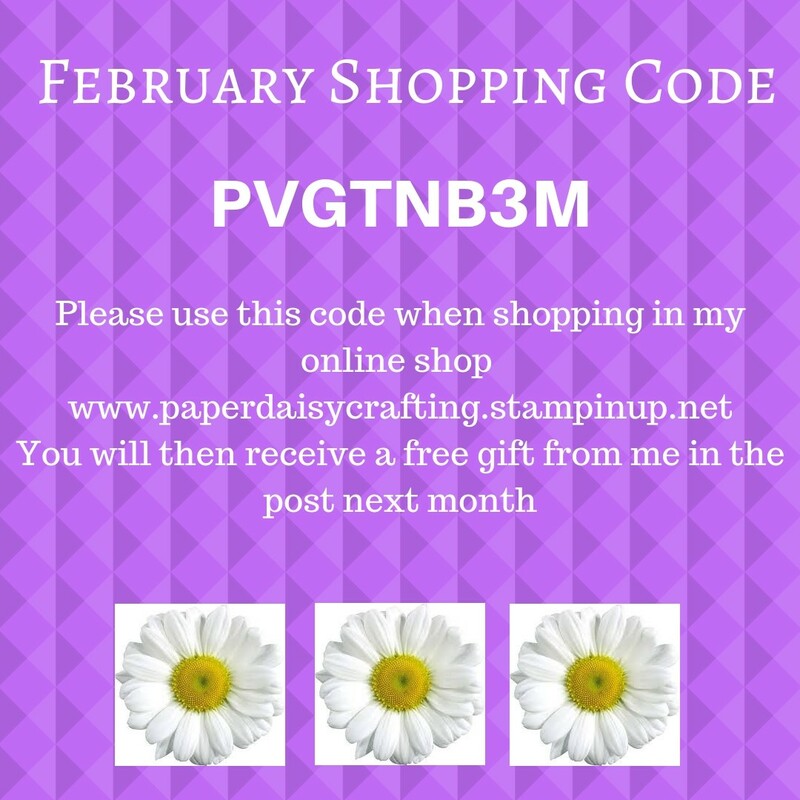 Helzie has used one of the FREE Saleabration items - Lovely Lattice - for her card. Helzie has done some brilliant colouring of her images here. You too could get this stamp set for free - just spend £45 and this could be your choice of free product. 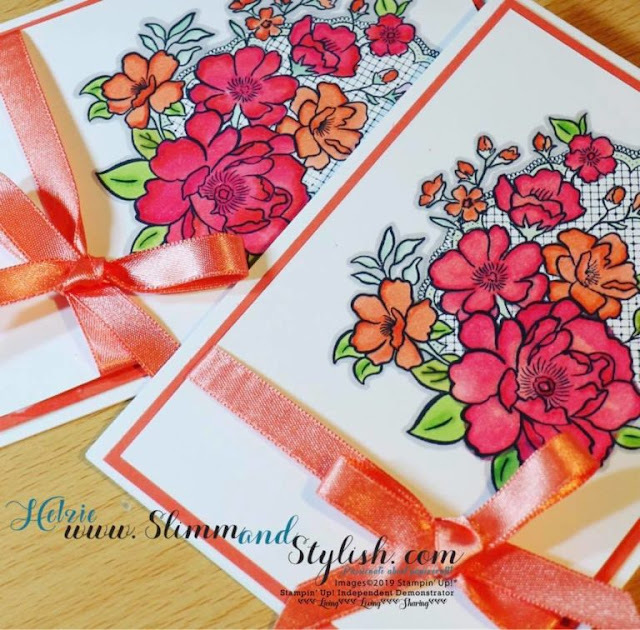 Read more about Helzie's card over on her blog HERE. And that's another Project Share Project done. I do hope you enjoy seeing these projects - hopefully makes a bit of a change from my perpetual "clean and simple" style. Come back next Thursday to see more. Or any other day to see my projects.